FazWaz is redefining real estate in the consumer's favor. As a full-service brokerage, we combine our own technology and real estate agents to make buying or selling a home faster, easier, and more efficient. FazWaz is the leading real estate marketplace in Thailand dedicated to empowering consumers with data, inspiration and knowledge needed to make better-informed property decisions. FazWaz was founded on the principles of transparency and efficiency and everything we do aims to make the market more effective for both property consumers and real estate professionals alike. 3 bed house for sale in Thap Tai, Hua Hin with Garden, Pool, Green View | Unit ID: HH-2603 | FazWaz. 4 bed villa for sale in Kamala, Phuket with Mountain, Sea View | Unit ID: PH-11136 | FazWaz. 6 bed villa for sale in Cha Am, Hua Hin with Garden, Mountain, Pool View | Unit ID: HH-2485 | FazWaz. 2 bed condo for sale in Watthana, Bangkok with View | Unit ID: BK-48123 | FazWaz. 1 bed condo for sale in Pattaya City, Pattaya with Garden, Green View | Unit ID: PA-16119 | FazWaz. 3 bed villa for sale in Hin Lek Fai, Hua Hin with Garden, Pool, Green View | Unit ID: HH-2690 | FazWaz. 5 bed house for sale in Kamala, Phuket with Garden, Mountain, Green View | Unit ID: PH-11434 | FazWaz. Private single house huge garden. Mountain view . Driven 5mins to the beach. 1 bed condo for sale in Mueang Chiang Mai, Chiang Mai with Mountain, Green View | Unit ID: CM-2916 | FazWaz. 2 bed villa for sale in Sattahip, Pattaya with Garden, Pool, Green View | Unit ID: PA-16341 | FazWaz. 2 bed condo for sale in Chatuchak, Bangkok with Residential / Building View | Unit ID: BK-48175 | FazWaz. 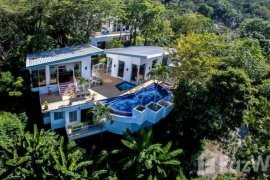 4 bed villa for sale in Kamala, Phuket with Lake, Mountain, Pool, Green View | Unit ID: PH-11296 | FazWaz. 3 bed villa for sale in Thalang, Phuket with Pool, Garden View | Unit ID: PH-11286 | FazWaz. Studio condo for sale in Ratchathewi, Bangkok with City View | Unit ID: BK-49166 | FazWaz. 2 bed house for sale in Phuket Town, Phuket with Garden, Green, Mountain View | Unit ID: PH-11594 | FazWaz. 2 bed apartment for sale in Lamai, Koh Samui with Pool View | Unit ID: CB0F1F | FazWaz. 1 bed condo for sale in Mueang Chiang Mai, Chiang Mai with City, Mountain View | Unit ID: CM-2933 | FazWaz. 3 bed condo for sale in Jomtien, Pattaya with City, Sea View | Unit ID: PA-16373 | FazWaz. 1 bed condo for sale in Khlong Toei, Bangkok with Pool View | Unit ID: BK-44506 | FazWaz. 1 bed condo for sale and rent in Watthana, Bangkok with City, Residential / Building View | Unit ID: BK-48737 | FazWaz.